In 2015 AusHEAL supplied and installed a new A$40,000 generator to supply emergency backup power for the hospital. 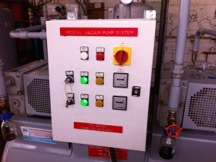 The regular mains power supply was both unreliable and intermittent with resultant power blackouts affecting equipment and surgery. Hence the need for a reliable back-up generator. Power surges are a constant threat to sensitive medical instruments throughout the hospital, especially in the operating theatre and Intensive Care departments. 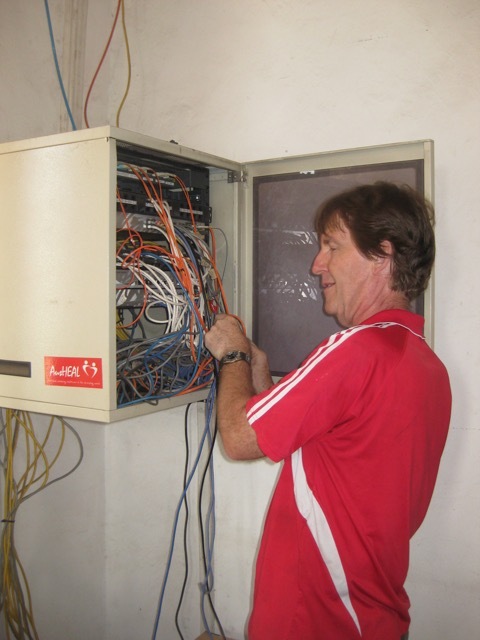 Hospital electrical cables and circuits require updating and making more robust. There is an ongoing need for funding for equipment such as UPS (Uninterrupted Power Supply) equipment and battery back-up devices to maintain a lasting power network within the hospital. AusHEAL has already supplied a number of such UPS devices. (self-sustaining venture). 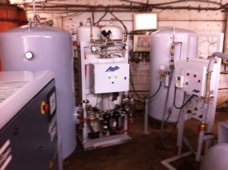 There is potential for HEAL Africa Hospital to make and provide its own medical grade OXYGEN. Oxygen until 2018 was trucked in from outside D.R.Congo – an inefficient and costly exercise. The oxygen supplied was of an industrial grade than the needed higher grade medical standard. AusHEAL has now facilitated the purchase, provision and installation of an Oxygen Plant at Heal Africa Hospital to allow the generation and provision of essential oxygen for patient care including children and newborn, surgery and anaesthesia. The hospital will also potentially supply bottled oxygen to other hospitals and medical centres in the region, an income-generating project that in turn will generate revenue for improved patient care for those living in poverty.